Lori Vorpi, DC practices as a Chiropractor in Sparta, MI. 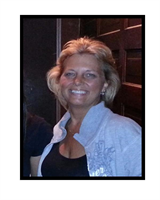 Services Lori Vorpi, DC practices at 9161 Sparta Ave NW E, Sparta, MI 49345. Chiropractors diagnose and treat common spinal misalignments that can occur from lifestyle or injuries causing pain, discomfort and degenerative conditions. Lori Vorpi, DC may be able to treat; back pain, sciatica, neck pain, shoulder pain, headaches, sports injuries, and auto accident injuries. They really go above and beyond to make me feel special. It seems to me that they really care about their clients. I was ecstatic after my appointment. I knew that I was going to improve with their treatment. I've never seen anyone with more skill. I was amazed at how much better I felt after my adjustments. I was worried that my adjustments were going to be painful but they were extremely careful. The whole staff is such a friendly group of people. Everyone makes you feel welcome as soon as you walk in the door. If you want someone to make you feel at home, this is the place! They are so friendly and welcoming. Not only is Dr. Vorpi an excellent practitioner, her staff is outstanding! Both in and out of the office Dr. Vorpi shines through. Her involvment with the Veteran community is awesome as she heads up Pets for Vets of West Michigan!!! We need more like her! Dr. Vorpi is genuinely concerned about her patients. Her professionalism and abilities are outstanding. Dr. Vorpi takes the time necessary to listen to your concerns and then takes the time necessary to properly address them. She is never too busy to provide the treatment you need. In addition she counsels her patients in avoiding those things which are causing, can lead to, or may compound the patients current problem. Finally she suggests nutritional options to improve your health. Dr. Vorpi is personable, professional and caring. Did this Provider let you know upfront what the approximate cost of the services would be?